We’re pleased to report that a new friends group has formed in support of Northeast Portland’s Wilshire Park. We’ve been in touch this week with a history assist as they get the Friends of Wilshire Park website up and running. Right now their site features minutes from the inaugural meeting this week and some information that might look familiar to AH readers, but stay tuned for more as plans develop and more neighbors get engaged. The next meeting of the Friends is Wednesday, April 25th at 7:00 p.m. at nearby Bethany Lutheran Church, 4330 NE 37th Avenue. 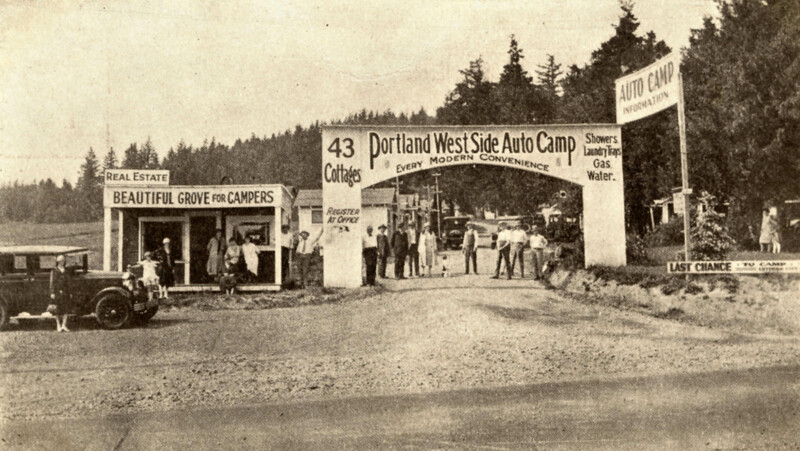 As a refresher, the 15-acre park located just east of NE 33rd Avenue–once part of the Jacob Kamm Estate–was slated to become a tourist campground in the 1920s, a plan that provoked quite an uproar in the neighborhood. And in the 1930s, multiple developers had plans for subdivisions before the city bought the lands with emergency funds in April 1940 (spending a grand total of $28,500). 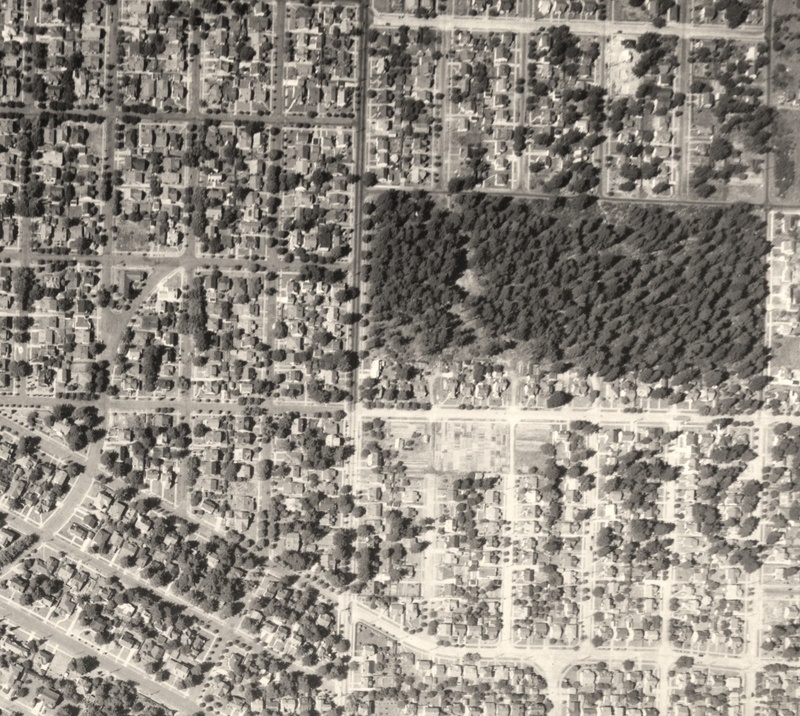 This detail of an aerial photograph from 1943 shows the 15 acres of trees and rough trails. Though the city owned the parcel at this time, there were no developments or facilities yet. Have a look at the rest of the young neighborhood…plenty of vacant lots. It was (and is) a green island in the midst of the neighborhood. So many other interesting stories and memories over the years: Christmas trees cut in the 1920s and 1930s from the “33rd Street Woods” as it was known; the World War 2 “victory gardens” planted along the park’s southern edge; the jackstrawed piles of trees and branches left over from the Columbus Day storm of 1962; the generations of baseball players, soccer players, runners and dog walkers who have loved this place. Given its role in our local history, and in our daily lives today, Wilshire Park deserves a few more friends. Today, it’s a major landmark both here on the ground in Alameda-Beaumont-Wilshire, and even from the air: the 15-acre rectangular patch of tall Douglas-fir trees surrounding baseball diamonds, open fields, picnic areas and a dog park. 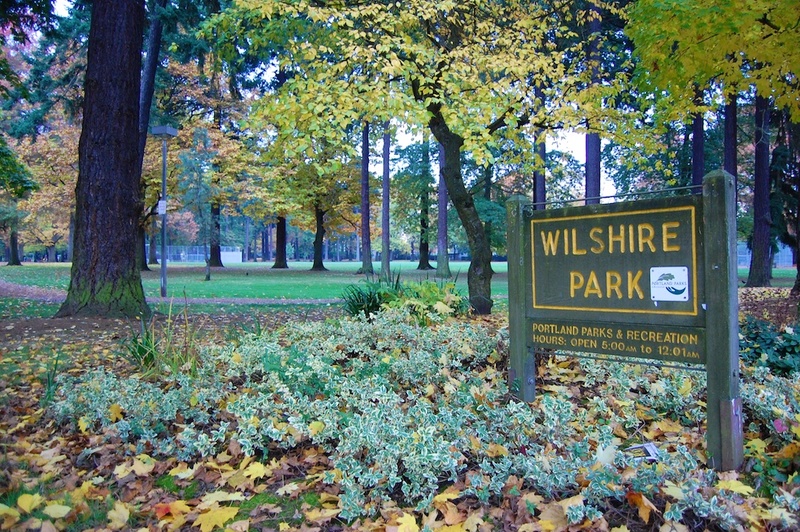 We know it as Wilshire Park, and many of us benefit from it every day. Wilshire Park very nearly became a 1920s auto campground, and then a 1940s subdivision. We can take Wilshire Park for granted today because of a series of events tracing back to an investment made by one of Portland’s wealthy early residents, Jacob Kamm (1823-1912), who made his fortunes in the steam navigation business. Kamm also dabbled in real estate investment and had strategically purchased parcels downtown and at the edges of Portland, including the 15 acres of woods just north of the Alameda Ridge off the old county road (today’s NE 33rd Avenue), which he platted as the Spring Valley addition in 1882. When Kamm died in 1912, the tract had been untouched, and his estate was valued at $4 million. Sorting out the estate took years and was frequently in the press. An effort to turn the park into a KOA-style automobile campground in 1920 was cancelled with prejudice by vociferous Alamedans who were worried about its impact on property values and didn’t like the notion of a non-residential and transient-based activity being so close to their homes. After that fight, which involved petitions, community meetings and a high level of consternation with city government, the fate of the 15 acres rested for a few years. Remember that the early 1920s were a major boom period for the construction of homes in this area. All around the 15 acres, new subdivisions (and lots of kids) were springing up: the Willamette Addition, platted in 1888 and bounded loosely by Skidmore on the south and Alberta on the north (though the original plat was never fully built-out); the Wilshire Addition, platted in 1921 and roughly including the area from NE 33rd to NE 42nd between Fremont and Prescott; the Beaumont Addition, platted in 1910; and Olmsted Park—just west of 33rd across from the woods—was as well established as its neighbor Alameda Park. Kids from these neighborhoods were already using the wooded area as their playground, with a maze of improvised trails, forts and other secret places nestled into the thick brush and trees. It seemed a natural to become a real city park, with playgrounds and picnic facilities for organized events. The Wilshire Addition Community Club—a kind-of early neighborhood association and social club—was the first to call for acquisition and development of the park, submitting a proposal in September 1926 for the city to float a bond measure to fund the work. But Portland Parks Commissioner C.P. Keyser felt the chances of a voter-passed measure were too slim because not enough planning and survey work had been completed, so the effort stalled. A passing reference about who was actually coordinating the work provides insight into the way some people though of the 15 acres in those days: the work party was led by the city’s Nuisance Division, and the Clean Up Campaign Committee of the Junior Chamber of Commerce. 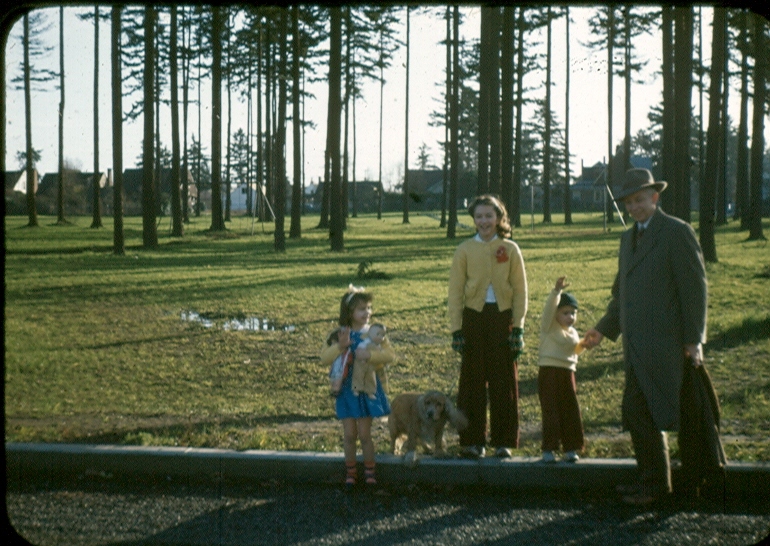 Thanks to work parties like this, and continued use by neighborhood kids, community interest continued to build in the mid-1930s—with the property still in the hands of the Kamm estate—until a proposal was made in the fall of 1937 to have the city purchase the property with a localized bond measure. 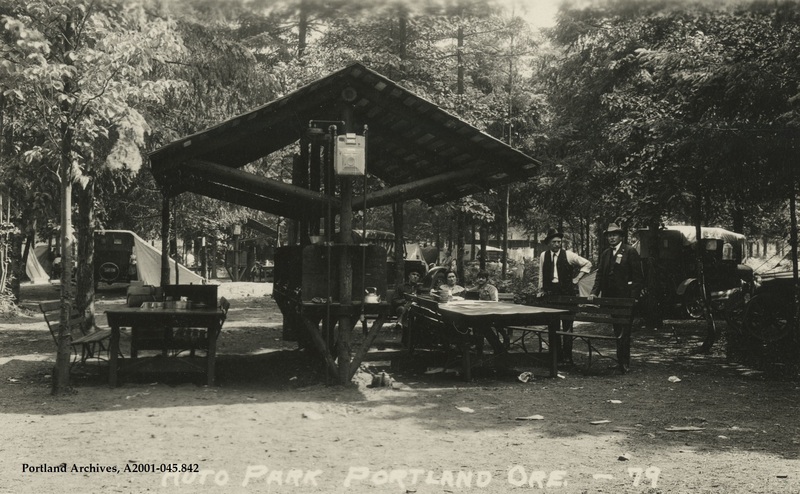 Backers of the proposal knew that time was running out to keep the park as a park, and told The Oregonian in December of 1937 that “this is the last chance to get it. Contractors want to take over the property to build homes.” They also continued to make the case that the nearest proper park was too far away for children to use. The 15-acres was still a glorified brush patch. Working with neighbors, the city proposed assessing the agreed purchase price of $28,500 across 3,000 homes within the surrounding vicinity, less than $10 per household. This did not go over well with some, and a firestorm of letters to the editor and complaints to City Hall boiled over. More than 30 percent of the 3,000 homeowners had actually signed petitions opposing the fee, though not all were against the park acquisition itself, if the city could find a way to spread the cost city-wide. In 1937, Portland was in the grips of a recession that followed the Depression, and joblessness and foreclosures were headline news on a daily basis. But forward-looking arguments did not prevail, and after all the fuss, the city dropped the proposal. Meanwhile, kids kept using the 15 acres, brush continued to grow, crimes were reported being committed in the woods, and developers sought to purchase and build on the property. This detail of an aerial photograph from 1943 shows the 15 acres of trees and rough trails. Though the city owned the parcel at this time, there were no developments or facilities yet. Have a look at the rest of the young neighborhood…plenty of vacant lots. The story goes quiet again, until a brief headline in the April 10, 1940 issue of The Oregonian: City Acquires Kamm Tract. The short, page 4 story reports only that the City Council took the action by emergency ordinance and was acquiring the land from the estate at a cost of $28,500, financed with a two-year loan from the First National Bank that would be paid off from city funds. Perhaps a development proposal led to the tipping point and the emergency action…that part of the story is untold. The public purchase of the property brought an important chapter to a close, and secured the land for the future. The Hamnett family on the north side of Wilshire Park, looking south, 1948. Note the gravel surface of NE Skidmore street. Photo courtesy of John Hamnett. 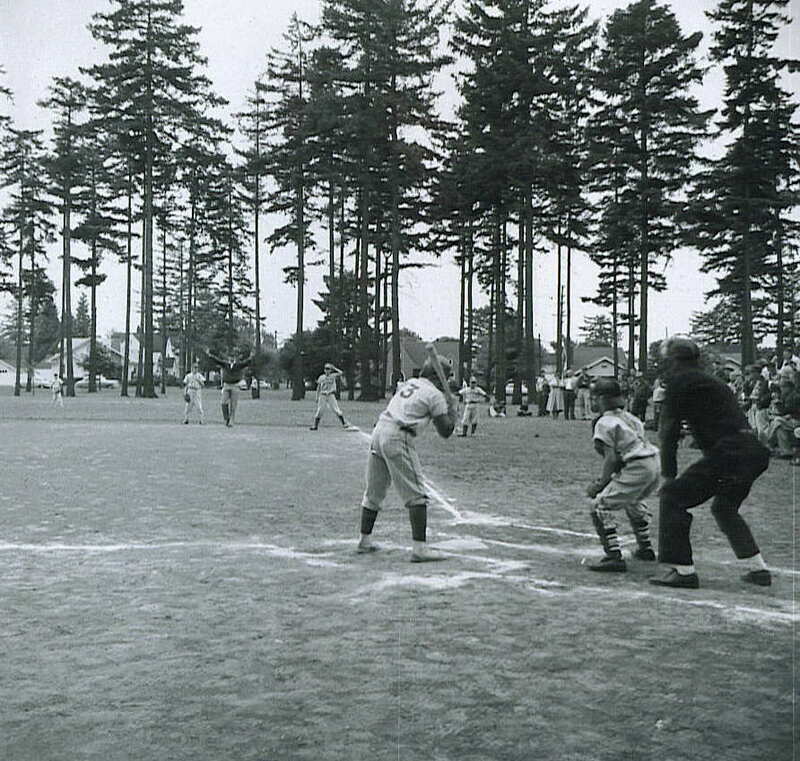 Wilshire Park baseball game, 1956. Looking west. Many other memories remain about the park, including the family that lived in a home at the far southeast corner of the woods around the turn of the last century; Christmas trees cut in the 1920s and 1930s from the “33rd Street Woods;” the jackstrawed piles of trees and branches left over from the Columbus Day storm of 1962; the generations of baseball players, soccer players, runners and dog walkers who have loved this place.